With this product, you earn 2156 BIG TIME point(s). Your loveliness will be highlighted with the elegant Azure Collection. 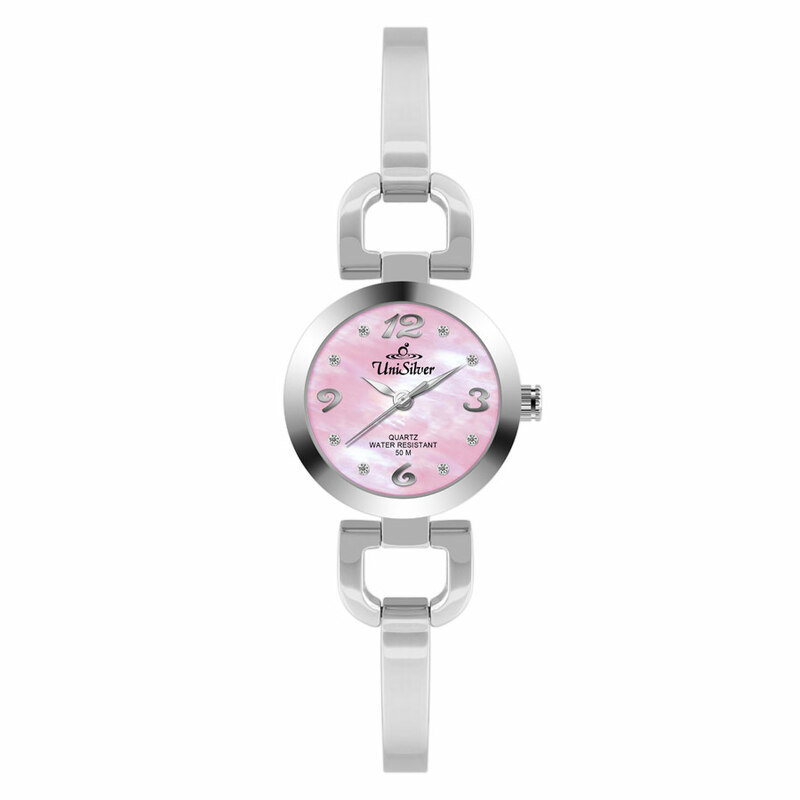 The dial is mother-of-pearl with rhinestones for hour indices, and the polished casing is carried on a slim bracelet. It's the perfect accessory for any occasion and outfits.